NightShooters is the latest Movie which features rising star Jean – Paul Ly. Here we get to see him in full action mode as he fights for his life (and his crews), against a bunch of blood thirsty gangsters out to kill them all. A film crew are shooting an zombie movie in an adanboned building when they accidently record a gang land execution. Suddenly the crew are attacked and have to use all there film making skills to stay one step ahead and to stay alive. Richard Sandling (Tacker) and his men will stop at nothing to make sure nothing gets out about what the film crew had seen and filmed. Trapped in the building, there is only one way to survive, by killing those who wish to kill you. “A group of filmmakers find themselves on the run from a violent horde of criminals after witnessing a brutal gangland execution. Unable to flee the building they have been shooting in, the hapless film crew use their technical skill and knowledge to survive as the gangsters move in to eliminate witnesses. With the stunt man being a martial arts master, the special effects guru ditching safety to set lethal traps, and the sound department placing radio mics to track their attackers, it becomes a strategic game of survival against all odds”. 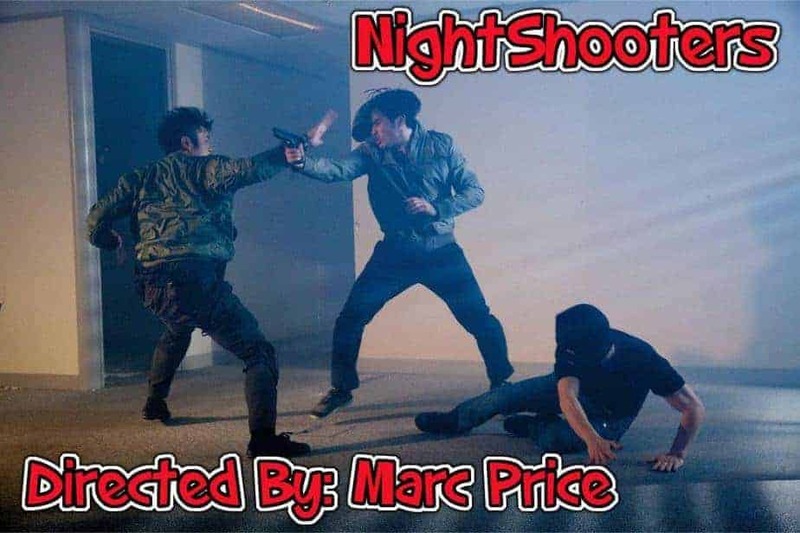 NightShooters is an Independant Movie, Written and Directed By Marc Price and I have to say he did a fantastic job. Marc proves that you don’t need to be a big Hollywood company to produce what fans are looking for, a well made Martial Arts Action Movie. The fight sequences are very well done, the camera work weaves in and out, side to side, making the audience feel like they are in the same room (Fans of The Raid will certainly enjoy the action). Ok, NightShooters doesn’t have anywhere near the same budget as The Raid, but the fight choreography, camera angels and fast paced action, makes it feel like it belongs on a higher platform. Jean-Paul Ly delivers a fantastic performance infront and behind the camera. Not only does Jean get to showcase his range of Martial Art skills, but he is also the fight choreographer on the movie. This guy has a bright future a head of him. 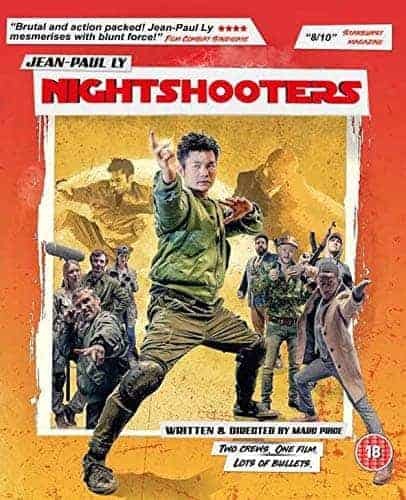 NightShooters is out now on DVD and Blu Ray in the UK, so please support the movie and genre, dont download it, buy the Movie. I was really impressed with this film and wish the Cast and Crew the very best for the future.